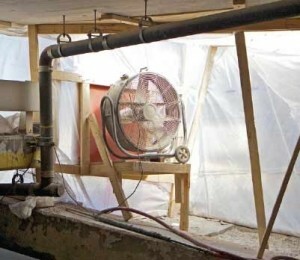 Minimize Dust for Jobsite Safety | Gonneville Inc.
Paragon Restoration II is a Minnesota-based, concrete restoration company specializing in the preservation and restoration of parking structures and high-rise exterior buildings. Paragon typically sandblasts parking structures, which is their preferred cleaning method for open-air jobs, but because parking structures are largely enclosed with little to no air movement, ventilation is nearly impossible. Costly containment, health and visibility concerns prompted Paragon to evaluate a vapor abrasive blasting solution. The biggest challenge Paragon President Dave Park has with blasting inside parking structures is balancing efficiency with employee safety. Paragon is given one small section at a time to work with, which they must completely contain to make the rest of the structure as dust-free as possible. Knowing that sandblasting was not a viable, sustainable solution for working inside parking structures, Paragon began researching abrasive blasting solutions that would produce less dust, which lead Park to Graco EcoQuip® Vapor Abrasive™ blasting. After seeing a demo at the World of Concrete show in Las Vegas, Park was intrigued. After learning that Graco EcoQuip Vapor Abrasive blasting machines produce 92% less dust compared to traditional sandblasting methods, he contacted a local distributor to arrange for an equipment test inside one of the parking structures. It seemed too good to be true. The Graco Ecoquip also made it more efficient to comply with OSHA standards; but for Park, the most compelling reason for buying Graco EcoQuip, was that it solved his original dust problem. This is a typical setup for Paragon Restoration when working inside a parking structure. Even with this large fan providing ventilation, workers would still have to stop to let the dust clear when sandblasting. With Graco EcoQuip vapor abrasive blasting, the dust was not an issue. 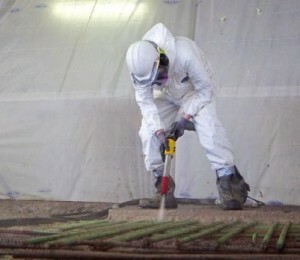 In this particular job, Paragon Restoration is blasting the corrosion off the exposed rebar. 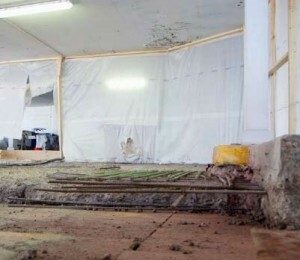 Paragon Restoration Owner Dave Park said blasting the rebar with Graco EcoQuip was actually faster than sandblasting. 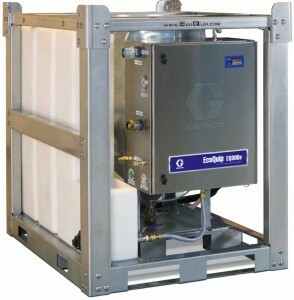 Graco EcoQuip Vapor Abrasive machines provide 92% less dust than traditional sandblasting pots. Less dust means Paragon employees can be safer on the job and live healthier lives, which is a major reason why Paragon purchased a Graco EcoQuip machine.